Make money online is a broad topic, specially on the internet. If you type in Google “How to make money online”, there are more than one hundred twenty-four million results. But a question might be asked that which way, technique or method you should follow to get start. The purpose of my today’s topic is to remove your confusions and provide you a clean path to get started. 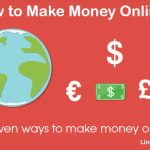 In this article i will cover a list of proven ways of making money online. The internet marketing is one of my favorite field. My experience with internet marketing is really enjoyable. I am working in this field since 2008, in last few years i have seen many ways of making money online that come and go. Today i come up with a list of proven ways through which anyone can make money online anywhere in the world. 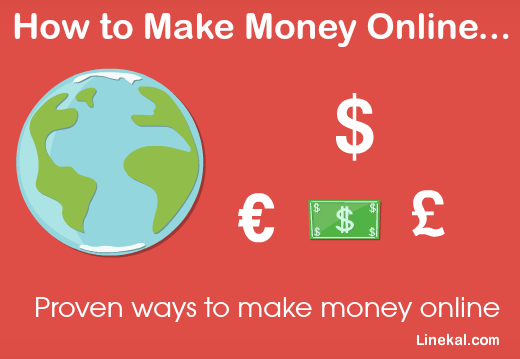 Basically there are four ways through which you make money online. The above are the four basic ways. I am going to briefly explain all of them one by one. In developed countries like UK and USA etc, people buy domestic products online, which allows the merchants to collect a huge revenue by selling their products online. But in non developed countries this nature can be found rarely. If you are from a country where people use credit cards, debit cards and PayPal then it is a golden chance for you to make your online presence and increase your sales potential and make money online by selling your products online. To start selling products online you will need to build a beautiful creative ecommerce website to showcase your products on. Alternatively you can use online market places like Amazon, ebay and alibaba.com to sell your products, but the recommended way is to setup your own online store. Selling other people’s products is also called affiliate marketing, in this type of internet marketing you will need to promote other people’s products by following your own marketing techniques. Whenever you generate a sale you will earn a percentage of the total sale amount, this percentage depends on the vendor or merchant reserved commission for affiliates. Mostly vendors set this percentage from 25-75% for digital products and 10-25% for physical products. Clickbank.com. It is a digital market place where you can promote other people’s products, this market place contain a few million products. You can create a free account and choose a product to promote. 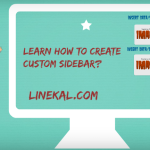 The step by step guide on how to promote clickbank products is available here. Amazon affiliates: It is a digital market place that allow people to become their affiliates. Just create an affiliate account on Amazon and start promoting Amazon products. Ebay affiliates: It is also a digital market place where people sell physical products, you can promote these products to make money online by earning commission for each sale you generate through your affiliate link. Selling advertising space is one of the most common way to make money online on the internet, people create a blog, post content and get traffi in return of that traffic they get paid from different advertising agencies. I will cover this topic briefly in upcoming articles, so you can subscribe by email to get latest updates. The advertising agencies pay a certain amount of revenue on the basis of CPC (Cost per click) and CPM (Cost per mille). If you are interested in this way to make money online, just create a simple blog and start posing information on a regular basis. When your Website traffic volume reach to at least 3000 visitors per month, then you have become a publisher of any advertising agency and start making money by selling advertising space. The most recommend advertising agency is Google adsenses. Another way to make money online is selling services online. If you have any skill in any field then you can offer your skill based service online to sell your service. In this method you must need to have some sort of digital service, means you cannot offer any physical service online. So before you jump to start selling services online, you will need to make sure that you are offering some sort of digital service. 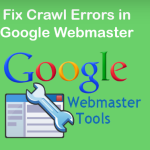 The most common example of this type of services can be found on Fiverr.com. Here is some resources where you can start selling your services. Above are the most popular out there, so you can find out more, but i recommend to get start from above mentioned. I will cover these once by one in up coming articles, so if you aren’t subscribed to this website yet, subscribe now and get updates by email and also like Tech Inspiration official page on Facebook to get new updates. Lastly, this article can be updated, if you have any suggestion to improve this article, just comment you suggestions in the comments, i will update this post and will include suggestions. 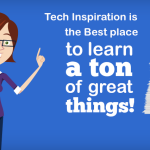 Don’t forget to create your personal account at Tech Inspiration Forum. Heya i am for the first time here. I came across this board and I to find It truly useful & it helped me out a lot. I’m hoping to offer one thing again and help others like you helped me.